Venice, 1562. 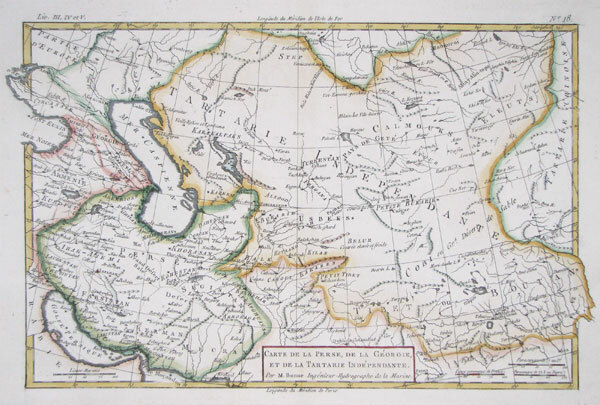 Map of Central Asia after Claudius Ptolemy of Alexandria (c. AD 90-168). covering the area of modern Iran, Turkmenistan, Uzbekistan, Kasakhstan, Afghanistan, Kashmir, etc. 'Turris Lapidea' (Tower of Stone) is believed to be Tashkent. Paris, c.1780. Central Asia from the Persian Gulf to Bhutan, marking Bahrain, the Caspian Sea, Afghanistan, Bukhara and Tibet. Afghanistan at the outbreak of the First Anglo-Afghan War. London, SDUK, 1838. Detailed map, centred on Afghanistan but showing the borders of Persia, Pakistan, Turkmenistan, Uzbekistan and Tajikistan, although the Khyber Pass is not shown in its entirety. The map was published in 1838, when the 'Great Game' evolved into the disasterous First Anglo-Afghan War, 1838-1842. Amsterdam, Jodocus Hondius, 1616. 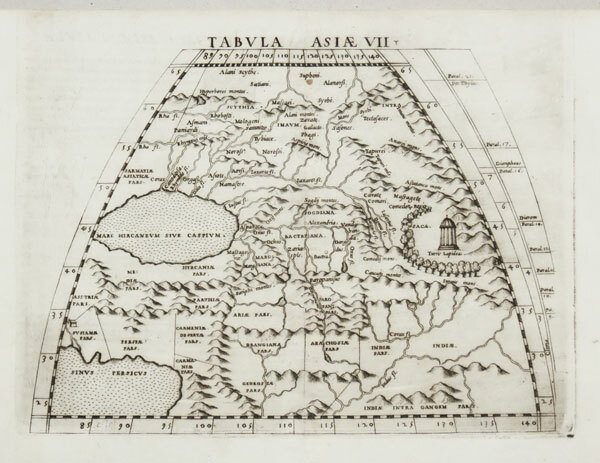 The Bay of Bengal, from Bertius' 'Tabularum Geographicarum Contractarum'. Brussels, 1827. 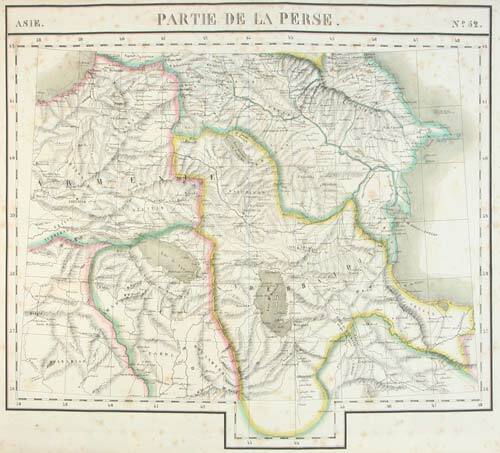 Very detailed map of the southern Caucasus, with the borders of Persia, Turkey, Armenia, Georgia and Azabaijan. Marked are the cities of Baku, Yerevan & T'Bilisi, and Mount Ararat. The map was published in the first atlas of the world on the same scale, some of the more remote areas of the world such as this are shown in unprecedented detail. London: A. & J. Churchill, c.1750. 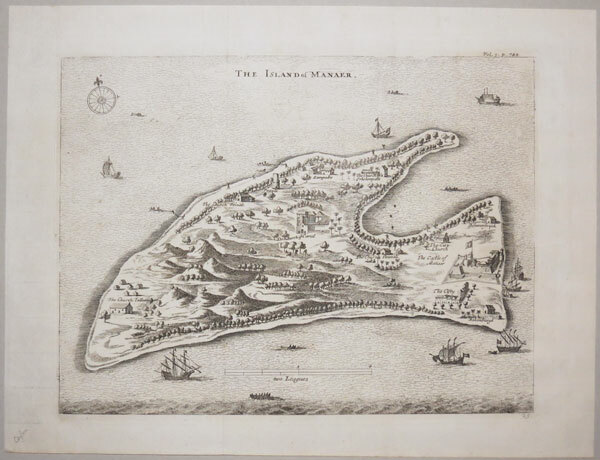 The island of Mannar, off the north-west of Sri Lanka, with its Dutch fortress. The fort was built by the Portuguese in 1650, taken over first by the Dutch in 1650 and then by the British in 1795. Baldeaus, a Dutch missionary in the Malabar and Coromandel Districts, wrote about the Dutch settlements in Southern India. Paris, 1683. Map of Georgia and Armenia, with a decorative title cartouche. London, c.1785. A colourfully-dressed man from Georgia in the Caucasus. A copy of the plate from Le Prince's 'Collection of the Dresses of Different Nations, Antient and Modern', 1757-72. Paris, c.1683. With a decorative title cartouche. Paris, c.1683. Map of India in ancient India. London, c.1688. 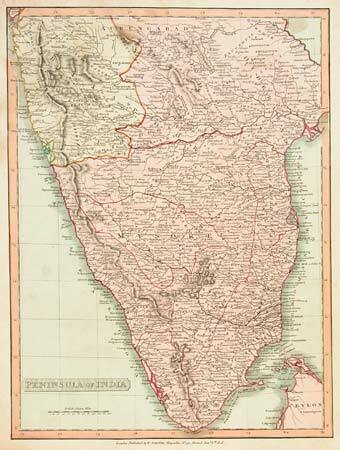 Map of India from Morden's uncommon world atlas 'Geography Rectified...'. London, c.1688. From Morden's uncommon world atlas 'Geography Rectified...'. Leiden, c.1710. Map of India with a title cartouche full of images. Paris, 1752. Decorative plan of Tharangambadi or Tranquebar, on the Coromandel coast. Founded by the Danish East India Company in1620, the colony was sold to Britain in 1845. Paris, c.1760. Chart of the Arabian Sea, showing Oman with Muscat clearly marked, with the coasts of Persia, Pakistan and the western coast of India, with the Maldives. London, c.1808. Detailed map of British India. London, 1811. 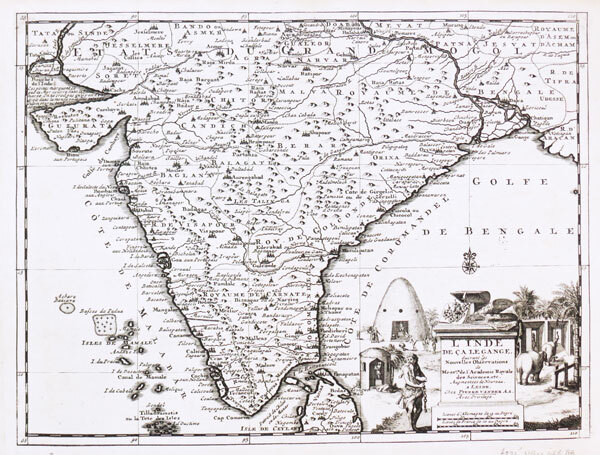 A map of India south of Bombay, with northern Sri Lanka. London, J. & F. Tallis, c.1851. 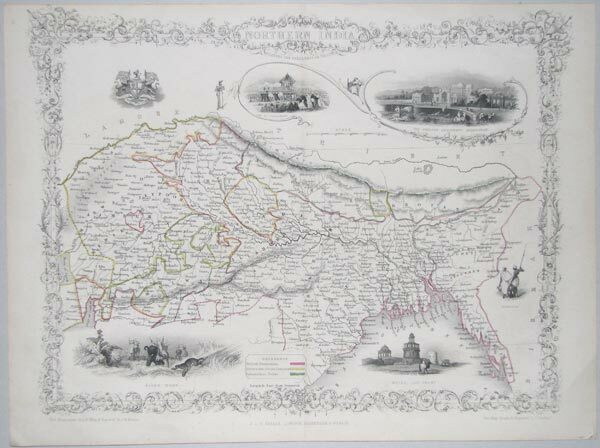 Northern India, with Nepal, Sikkim and Bhotan. Drawn and engraved by Rapkin, with six vignettes including a view of a tiger hunt. 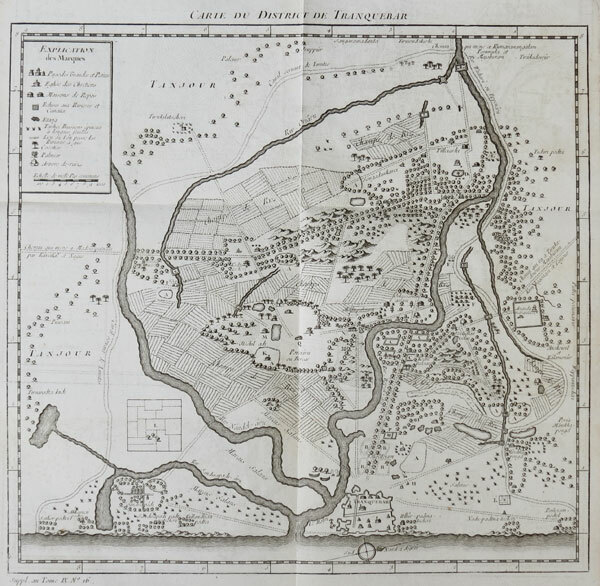 London: J.Harrison, 1788. 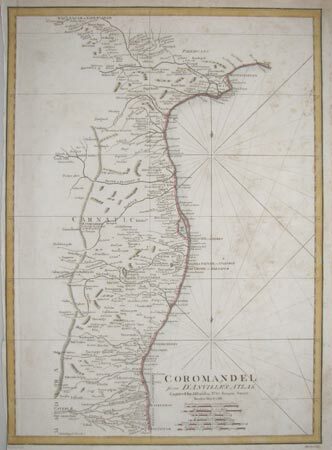 Detailed map of Coromandel, on India's east coast, marking Madras.